Coming from Cronulla, young Andrew had a lot of tough competition surrounding him. As a member of the Emerald Club he soon moved up the ranks winning contest after contest. He also found a love for charging Shark Island following in the footsteps of Perce, Wazza, Bal, Nugget and Wingnut who pushed him to perform .Either you rip or you get written off and just dont get any waves out the Island. Andrew began winning his share of local contests and Aussie Tour Titles but his career peaked when he won The Pipe Title in 2001. Andrew is the nice guy of Aussie bodyboarding, always positive and never a bad word to say. Today he is the NSW rep for Turbo. 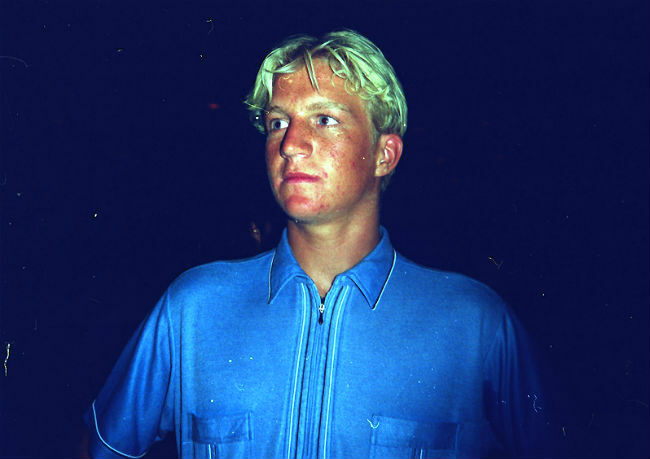 Below one of the first photos taken by Chris Stroh of the young school kid at The Point after a session circa mid 90′s.